Like I previously mentioned in my review of the Sennheiser HD800 Headphones, owning the HD800 headphones is like living with a genius: the headphones will give you a new appreciation of all your favorite music. But the downside of that is that the HD800’s will reveal everything about your music…warts and all. 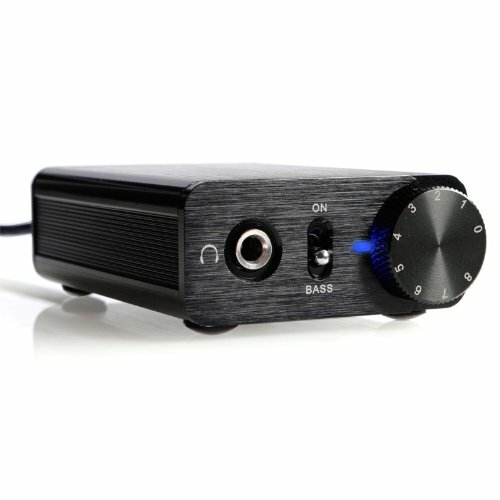 Finding the best headphone amp for the Sennheiser HD800 is tricky. Whereas other high end headphones like the Audeze LCD-2 and Grado PS1000 tend to sound darker and smoother (to gloss over the weaknesses in a music production), the HD800 is truly faithful in reproducing the original recording as it happened. The trick is to find a headphone amp that lets the HD800’s do what they do best: faithfully reproduce the original audio source without getting in the way. The balanced headphone drive that Headroom does so well reduces most types of distortion that you normally encounter in most headphone amplifiers. It also eliminates cross talk between the wires. Now, because your typical cable connector (1/4″) can’t carry the balanced signal, you would need to get an aftermarket cable to take advantage of this. Like I mentioned on the HD800 Review page, Headroom makes a custom version of the HD800 that will make it work optimally with Headroom’s headphone amps. 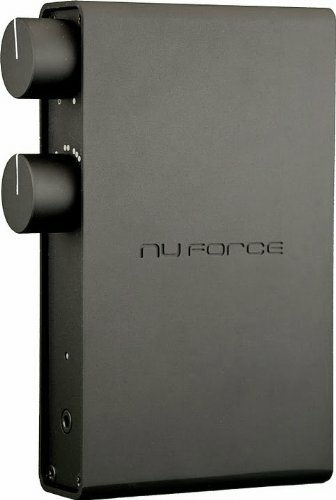 It’s hard to think of a $350 amp as the ‘cheap’ one, but the NuForce Icon is pretty popular among the HD800 crowd. It certainly fights above its weight class, as it’s able to effortlessly drive most high end headphones. It offers 24 bit/96 Khz sampling rates, which is rare for sub-$1000 headphone amps, and in the listening spectrum it balances just slightly to the warmer side. I think that’s why it makes the HD800 sound so good, since the HD800 is a very bright headphone. The NuForce balances that out and makes the HD800’s a little more forgiving when it comes to lower quality music sources. FiiO is known for having every kind of amp for (nearly) every kind of headphone. Luckily their high-end E10 Amplifier is a powerhouse when it comes to driving high-end headphones like the HD800’s of the world. It does have a bass-boost feature that is definitely not necessary when you’re trying to create uncompromising sound quality (which, if you’re buying the HD800 headphones, we presume you are). Otherwise the E10 has a very simple setup: plug it in to your computer and use with your desktop. If you don’t want to use your computer, however, this is not the amp for you. The strength of the Fostex HP-P1 is its versatility: you can even plug in your iPod directly into the amp. But it is no slouch in the audiophile department: it has an ultra-high quality 32bit-DAC and exclusively-designed analog circuitry to give it the best sound possible. If you want an amp for listening to music in your home audio set-up, but also want something you can use on your laptop if need be, this is the best option. If you aren’t in to Headroom’s balanced drive but still want an all capable headphones amp that will give you great sound, then Headroom’s most popular Desktop Amp/DAC combo is more than capable of anything you can throw at it. It features Headroom’s crossfeed technology, which makes the sound you’re hearing on your headphones feel more natural. It also boasts pretty much every kind of input you can imagine: USB, Optical, coax S/PDIF digital inputs all of which feed into its Digital Analog Converter. For analog sources it boasts dual RCA inputs and volume-controlled line output via Cardas RCA connectors. It’s a great amp if you like to tinker and try different sources and inputs to find the most optimal one for you.